All NNYBE Members have the opportunity to advertise in the weekly Plan Room Bulletin, the annual Classified Directory and other publications associated with the Builders Exchange. Advertising opportunities are also available in association with our annual events including, but not limited to Home Show, Golf Outing and various member events. Advertisements referencing politics or religion are excluded from all publications. All advertising requests are reviewed by the NNYBE and the NNYBE reserves the right to accept or reject any advertising. The Board of Directors of the Northern New York Builders Exchange, Inc. offers three types of advertising in our Plan Room Bulletin. These Ads cost $200.00 for six months. The members can continue the Ad for as long as they wish. The Exchange sends out in excess of 350 bulletins each week. If your firm would like to be included in our advertising – call the Exchange at (315) 788-1330 or send an E-Mail to info@nnybe.com . The Ad will be placed in (4) consecutive Bulletins, must be 25 words or less and requires prepayment of $40.00. The Insert will be distributed with the weekly Bulletin with prepayment of $100 for one week, $300 for one month or $2,500 for a full year. The Ad/information sheet must be one sided measuring 8½” by 11”. 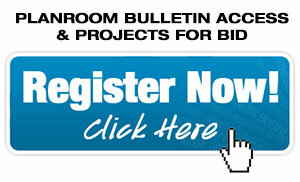 All advertising fees for the Plan Room Bulletin are subject to sales tax. Note: The Exchange will notify the members in the Plan Room Bulletin when someone is looking for a position; however, the Board does not allow notices of jobs available. This service is available free of charge. Currently our Classified Directory is produced by E&M Consulting, Inc. E&M sells the advertising for the directory and contacts all members directly in advance with schedules and rates. All ads are reviewed by NNYBE prior to publication. The Northern New York Builders Exchange hosts a number of events each year. Advertising is available for most events, usually in the form of sponsorship. All advertising opportunities are available to all NNYBE Members.